ISLAMABAD: Federal Minister for Education Shafqat Mehmood has said that the government has decided to introduce a single curriculum throughout the country in order to improve the national education system as per international standards. Addressing the first meeting of the National Curriculum Council here on Wednesday, the education minister said that all the stakeholders will be taken on board to achieve a national consensus over this issue of vital importance. He said that the current multiple curriculum-based education systems in the country have led to the creation of injustices and imbalances in society. He said that the elite class of society prefers to send their children to English medium schools with manifolds extra expenditures while the middle and lower middle classes are unable to afford such a costly education. 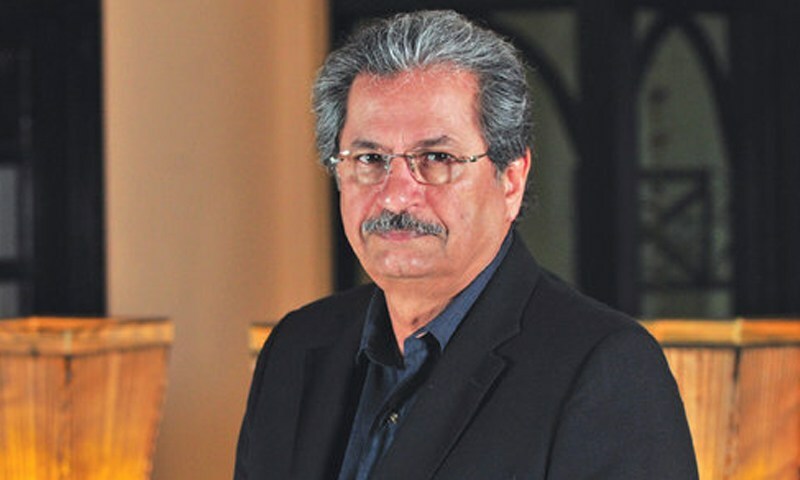 “It is time to replace this trend altogether with a single certification system to achieve a national cohesion among all segments of society,” said Shafqat Mehmood. A few months ago, the education minister had said that the incumbent government was striving hard for introducing a uniform syllabus across the country at its earliest. While underlining the need for enhancing the education sector’s budget, he said that “every child has to be enrolled in the school” for the progress and prosperity of the country. He said that the plan to bring out of school children to educational institutions will initially be launched in Islamabad as a pilot project. “The project will be expanded countrywide if it achieves the desired goals,” he concluded.